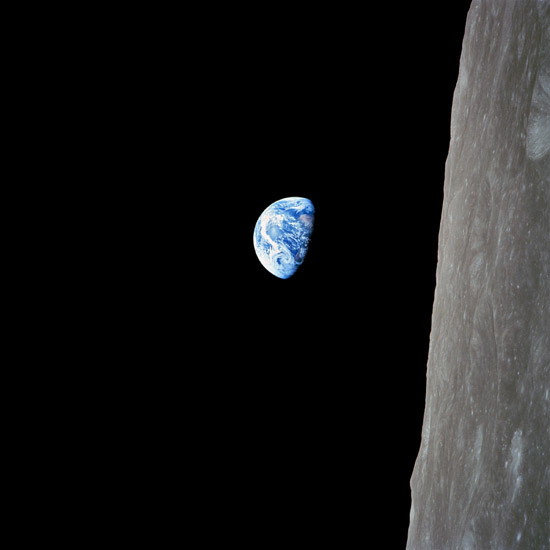 "Earthrise" in original orientation taken by Bill Anders on 24 December 1968. A young person working in a United Nations organization recently told me it is not certain that human activities are changing the climate on Earth. I decided to go through the Intergovernmental Panel on Climate Change’s latest report and came across the WGII AR5 Volume-wide Frequently Asked Questions (FAQs). Human activities are changing the climate. t not cross the global threshold of dangerousness. and hunting patterns to adapt to changes in temperature. The above is what I get when I copy and paste text from the PDF into a text editor. This is part of the reason why when one searches for “IPCC report” in Google an article on a financial magazine with lots of disinformation1 is one of the first results, at least in the news category. Human activities are changing the climate. Climate change impacts are already widespread and consequential. But while science can quantify climate change risks in a technical sense, based on the probability, magnitude, and nature of the potential consequences of climate change, determining what is dangerous is ultimately a judgment that depends on values and objectives . For example, individuals will value the present versus the future differently and will bring personal worldviews on the importance of assets like biodiversity, culture, and aesthetics. Values also influence judgments about the relative importance of global economic growth versus assuring the wellbeing of the most vulnerable among us. Judgments about dangerousness can depend on the extent to which one’s livelihood, community, and family are directly exposed and vulnerable to climate change. An individual or community displaced by climate change might legitimately consider that specific impact dangerous, even though that single impact might not cross the global threshold of dangerousness. Scientific assessment of risk can provide an important starting point for such value judgments about the danger of climate change. Yes, there is strong evidence of impacts of recent observed climate change on physical, biological, and human systems. Many regions have experienced warming trends and more frequent high temperature extremes. Rising temperatures are associated with decreased snowpack, and many ecosystems are experiencing climate induced shifts in the activity, range, or abundance of the species that inhabit them. Oceans are also displaying changes in physical and chemical properties that, in turn, are affecting coastal and marine ecosystems such as coral reefs, and other oceanic organisms such as mollusks, crustaceans, fishes, and zooplankton. Crop production and fishery stocks are sensitive to changes in temperature. Climate change impacts are leading to shifts in crop yields, decreasing yields overall and sometimes increasing them in temperate and higher latitudes , and catch potential of fisheries is increasing in some regions but decreasing in others. Some indigenous communities are changing seasonal migration and hunting patterns to adapt to changes in temperature. I appreciate the difficulty and amount of work being done by the IPCC, but they should consider also making this information available in HTML and Markdown formats rather than buried in PDF documents, and they should put the latest FAQs directly on their homepage. For we are the local embodiment of a Cosmos grown to self-awareness. We have begun to contemplate our origins: starstuff pondering the stars; organized assemblages of ten billion billion billion atoms considering the evolution of atoms; tracing the long journey by which, here at least, consciousness arose. Our loyalties are to the species and the planet. We speak for Earth. Our obligation to survive is owed not just to ourselves but also to that Cosmos, ancient and vast, from which we spring. .                          .     .     .           .                                     .  .         .                            ..
.                         .                    . .             .      .                     .                          .                                                      .
.                                .             . .                                               .                                    .          .
.                          .                        .                                        .            .                                      .
.   .       .        . .              ..                                            .
. .       .        .                    .                     .                                                                                                             .            .
.                  .   .                                                         .                                                     .                     .
.                          .                                       .      .                                              ..                          .                                .
.      .        .                             .               .             .               .
.                                       .                                    .                                               .                          .
.                          .                                                   .             .                 .           .               .
.              .            .  .                                                                                                                            .
.                                             .                      ..      .          .       .                    .                                           .
.     . .                    .  .             .                .       .                     .                                .        .                          .                    .         .
. .              .              .       . .        .          .                             .         .                                                 .
.              .                                                .                                     .                                                       .                     .
.                               .               .                 .                      .                 .                   . .
.        .        .                                                                                                     .                    .                  .           .
.                  .                .                   .          .             .                  .                                            .
.           .            .   .                        .             .             .
.                                                           .                                           .         .                .                              .
.   .                                .         .         .                         .                       .                                                       .                        .
.                                         .    .                       .                                                     .                           .
.                   .                                                .                    .                      .                                                   .
. .                                .                         .        .                             .                       .
.            .                .                      .    .                        .               .